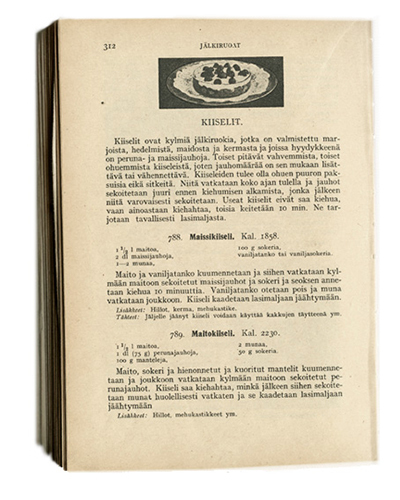 Kiiseli is a fruit soup from Finland that generations of my family grew up making. This family recipe is drawn from my mother’s best advice, her 1966 Finnish cookbook, a peek through my grandmother’s 1948 cookbook and a family friend’s 1933 cookbook. It’s a recipe you can easily grow in your own garden, too. With all that research, your kiisseli should make a fine old fashioned (yet gluten and dairy-free!) dessert. Cook the rhubarb in the water for a short while til softened. Add sugar to taste. (I like to pop up the sweetness with a few drops of stevia, and drop the sugar.) My mother usually adds the strawberries when finished cooking to retain their freshly picked flavour. Dissolve potato flour in a small amount of cool water and then stir the solution very well into the rhubarb mix, heating til it just begins to boil. Take the soup off the heat, and sprinkle a little sugar on top to prevent a skin forming. Serve it cool. Double cream or ice cream is gorgeous with kiiseli. In spring we love combining rhubarb & strawberries, or in the summer, blueberries & raspberries. I love to think of all my relatives, a long time ago, maybe on the farm in Finland, making kiiseli, eating it together round the table. We have pictures of our children as toddlers, painted with rhubarb soup. 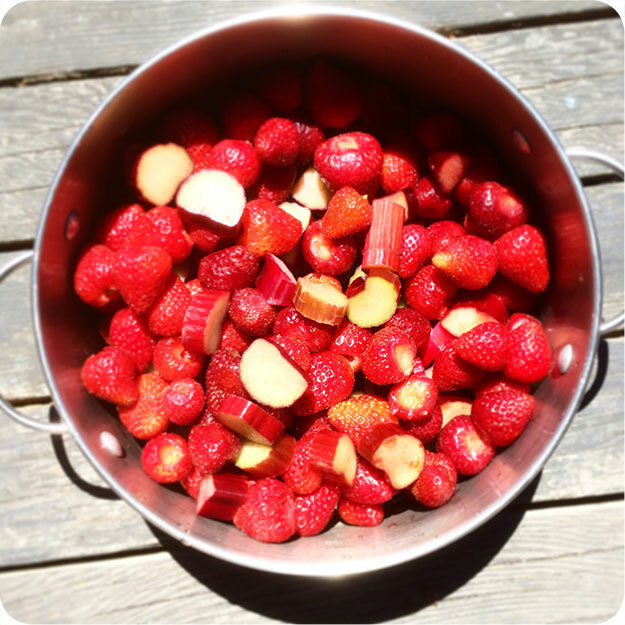 Rhubarb and strawberries are both easy, early perennials to grow in a corner or pot somewhere, we have ours as a pretty understory to a fruit tree, white wisteria, marshmallow plants and hollyhocks. I look forward to the moment our rhubarb is tall enough to twist off stalks for rhubarb soup!